We get you started with everything you need and nothing that you don’t. We boast some of the highest profit margins in the industry! Choose between packages with or without equipment. Each package receives ongoing marketing and full customer support. 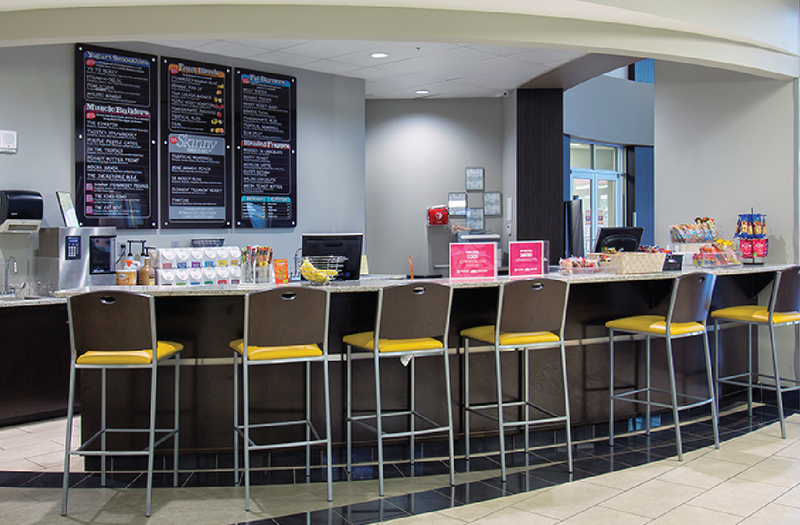 Photo: Our Smoothie Bar setup at National Fitness Center. How Much Money Can You Make With Your Smoothie Bar? Already Have Your Own Equipment? DO YOU HAVE QUESTIONS ABOUT STARTER PACKAGES?